Whether you want to learn how to grow vegetables, cannabis, or an ornamental plant at home the processes requires much of the same knowledge and equipment. The type of knowledge and equipment will vary depending on the method of growing you would like to employ. You will need a form of lighting whether that be natural light or from a grow light. We wont get in to the rabbit hole of lighting on this post, but look forward to our future content. Your methodology will essentially fall in to one of two categories; classic soil growing or hydroponics. Most people understand the basics of soil growing- you plant your plant in the soil, you don’t forget to water it, and you don’t water too much. Hydroponics on the other hand is perceived to be immensely complex, requiring a ton of scientific knowledge, and is often associated with growing marijuana, cannabis, ganja, weed, the devils lettuce, or whatever other name you please. To it’s credit, hydroponics is a more complicated growing technique, but if you follow a few basic rules you can grow anything indoors and even pay LESS attention to your plants on a daily basis. There are many types of hydroponic growing from aeroponics, ebb and flow, wick, deep water culture, drip, and nutrient film technique. From these aforementioned types of hydroponics, there are endless variations of systems that employ one of these forms or a combination of them. We at iDro will be writing lots of blog posts to help break the hydroponics stigma, but the truth remains that if you want hydroponic growing to be as easy as possible you should leave the details up to us and let our system automate the entire process for you. We’ll try not to toot our own horn too much, but our home growing system will be the best out when we’re talking dollars to donuts; providing the highest level of automation at the most affordable price, with no decrease in quality. 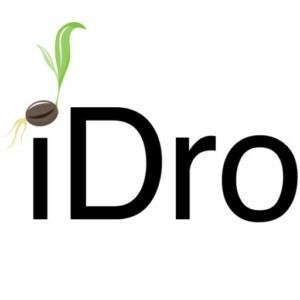 iDro will control the entire growing process for home cultivation from seed to harvest, it’s that simple. Even the most experienced grower will save time and effort by using our fully automated system. Thanks for reading and stay posted. Originally published at iDro- Fully Automated Hydroponic Home Growing System.